The DMV hearing takes place before a plea and in most circumstances results in an unfavorable ruling. As a rule, DMV hearing officers don’t care about anything but the chemical test, though THAT IS NOT THE LAW! If you are unsuccessful with DMV or court, your license is suspended for 30 days before you can request a restricted license. You must DMV $125.00, prove DUI class enrollment and file an SR-22. The court suspension is different from the DMV suspension, but they result in the same challenge for a defense lawyer. There are only three issues at the DMV hearing. They are set forth on the back of the DMV paper you received. The main issue is if the officer had probable cause to stop or contact you and whether the chemical test is beatable. The DMV has the burden of proof on all three issues and must win on all three issues to take your license away. However, the DMV does not use the same rules of evidence as the courts do and they usually win 98% of these DMV Hearings. THE DMV HEARING IS A PER SE HEARING AND IF YOU HAVE .08 OR HIGHER YOU ARE PER SE “GUILTY” IN THEIR EYES. By statute DMV is black and white. The hearing officers have NO authority to negotiate or extend courtesies. Clients incorrectly hope if they “plead for their license” they will have pity and get a break. The hearing officer might pity you, but they will still take your license. DMV hearing officers have no authority to “Plea Bargain” or deviate from the statutory penalties. This administrative hearing does not follow the same rules as court and the DMV Hearing Officer is the Prosecutor AND the Judge. At DMV, we must knock out one DMV issue to save your license and avoid paying a reissuance fee. IF a hearing is requested within 10 days and a STAY is requested, then your license is good until the hearing results. If you had a DUI with an accident and you talk to your insurance carrier please don’t volunteer you had a DUI too. It is their responsibility to find that out. Even if you had a traffic accident the carrier does NOT always know that alcohol was involved. Remember: Silence is Golden and Handcuffs are Silver so DON’T TALK to POLICE without your lawyer’s permission. Though often referred to as a DUI criminal defense lawyer, I choose to not view my DUI clients as “criminals”. I prefer to view them, and more importantly to treat them, as good, honest people that have found themselves in a scary and unfortunate situation after screwing up. ARTICLE IDEAS? 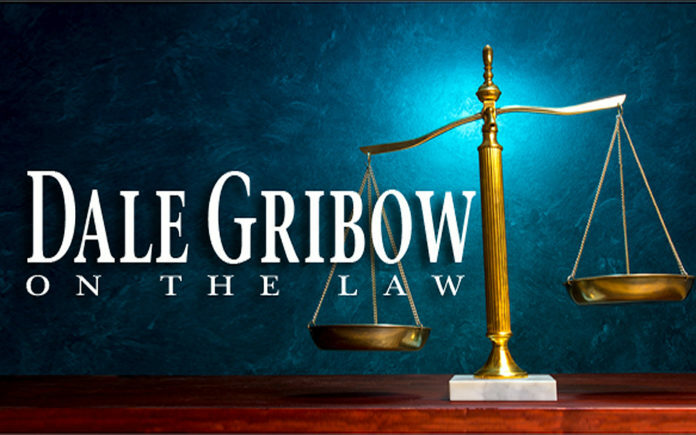 DALE GRIBOW 760-837-7500/ dale@dalegribowlaw.com.